The dog days of summer are almost a memory as we are consumed with ads for notebooks, backpacks, and the latest fall fashions. 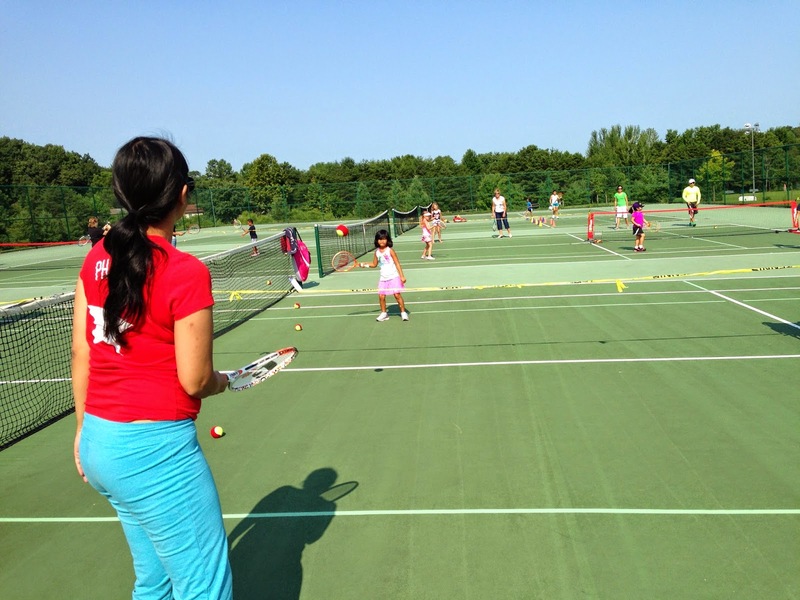 So now may be the last chance to reflect on the Summer Tennis program 2014–held at Gloucester Twp. Community Park–that recently finished amidst a flurry of high-fives, laughter and glimmering smiles. 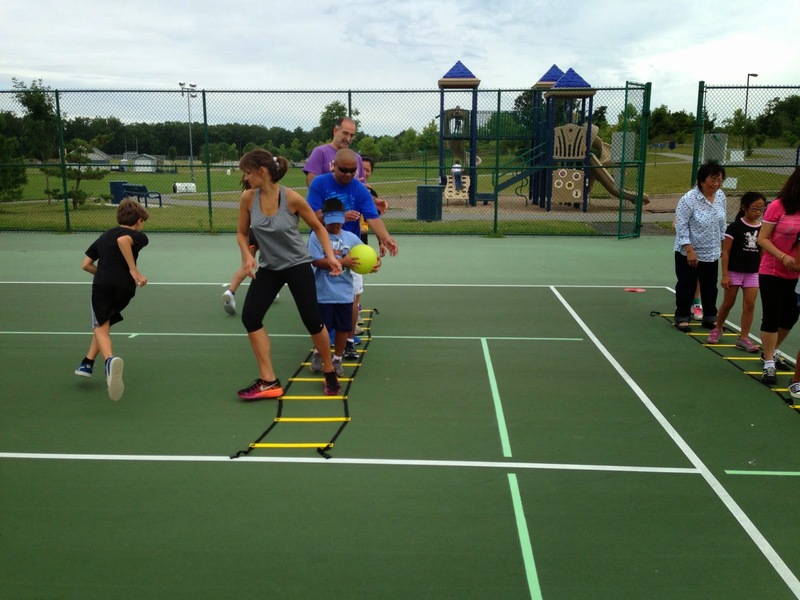 Both parents and their young tennis players, between the ages of 5 and 10 years old, displayed their satisfaction over the learning activities in which they participated on kid-sized 36 x 18 foot courts (standard courts are 78 x 36 feet) with portable nets and junior-size racquets supplied by Gotta Play Tennis Kids. If you have children ages 5-10 years of age, and you would like them to experience the joy and great family fulfillment that comes from this popular lifetime sport, why not join us for the Fall session. Registration begins on September 10th, and the programs (ages 5-7 and 8-10) run for 6 weeks from September 27th to November 8th. 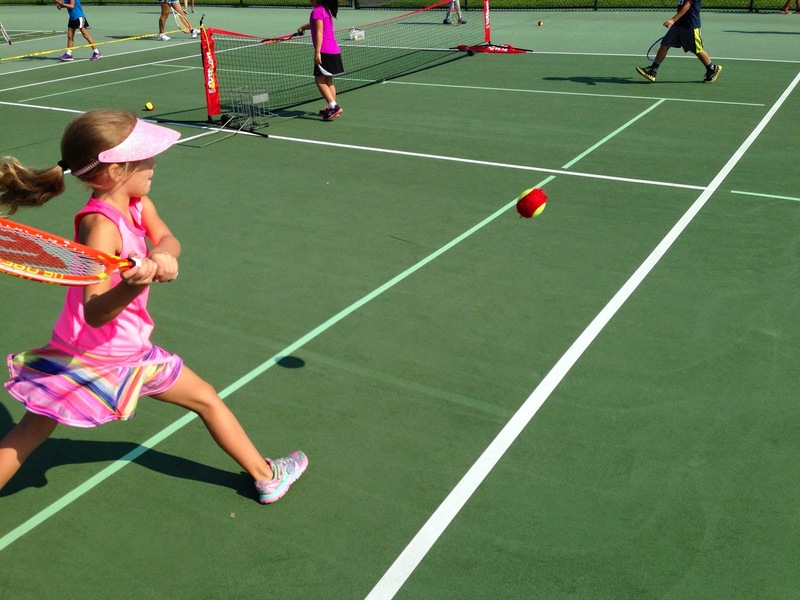 All equipment is provided and includes lower portable nets, slower and lower-bouncing balls, and junior racquets ranging in sizes from 19" to 25" (adult racquet is 27"). The registration fee is only $65 for the seven hours of fun and learning over the 6 week session (that's less than $10 per class). Class size is limited, so register early. Want to know more? Contact Ron at Gotta Play Tennis (gottaplaytennis.ron@gmail.com or 856-359-GPTS) and he will be more than happy to explain the program details.